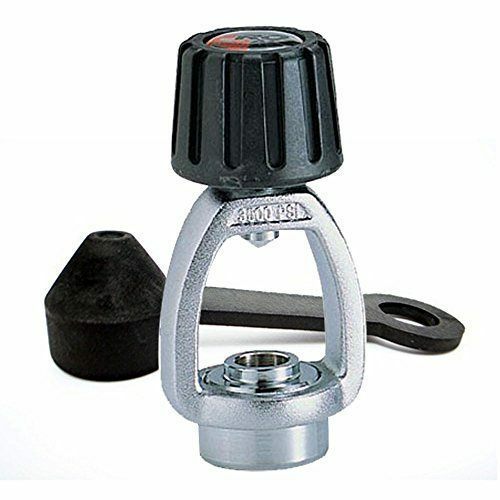 If you own a DIN Scuba Regulator and sometimes find yourself diving in places that only accommodate Yoke (A-Clam or International) fittings, then you will need to consider getting a DIN to Yoke Adapter. Many of the dive centers and resorts you visit may not be able to accommodate your DIN Regulator. Instead of missing the dive or renting an overused regulator you can solve this problem with a simple yoke converter. This simple piece of diving equipment can convert your DIN Regulator to be used on Yoke dive tanks without buying a completely new setup. There are many DIN to Yoke converters on the market to choose from. The one that will work best for you will generally be determined by price and personal preferences. What The Difference Between DIN and Yoke Regulators? What Is A DIN Regulator Fitting? 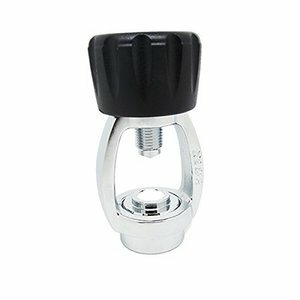 What Is A Yoke (A-Clamp or International) Regulator Fitting? DIN vs Yoke Regulators, Which One’s Best For You? Below is a list of the top ten best DIN to Yoke adapters. 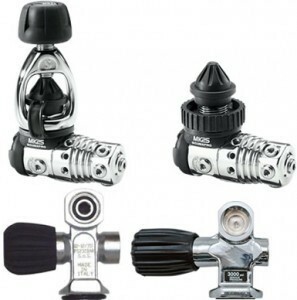 They are arranged in no particular order but are selected from different price points to ensure that there is an adapter to meet every diver’s needs. As you travel from country to country and dive center to dive center, you will come across different tank configurations. The Yoke (A-Clamp or International) and DIN Fittings. What are the differences between the two configurations? Here’s a quick video showing the difference. With a DIN Fitting the regulator’s first stage has a threaded post that screws directly into the DIN tank valve. 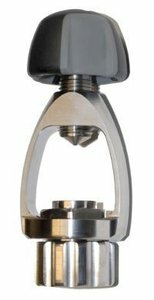 This secures the DIN regulator to the valve without using any additional camps or braces. The regulator post also contains the O-ring which when fitted to the valve forms a secure seal inside the valve. There is also two different types of DIN Fittings: 200 bars and 300 bars (Bar is a metric unit of pressure). 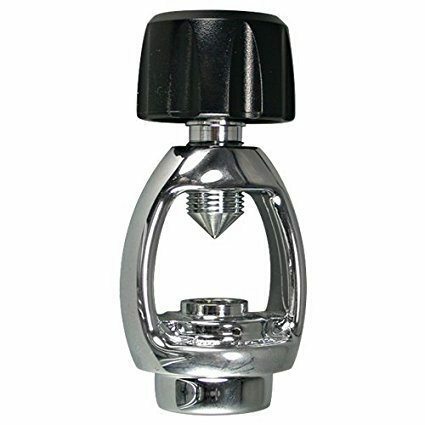 The 200 bars, roughly the maximum rating for a yoke fitting, has 5 threads, whereas the 300 bar has 7 thread and allows you to use higher tank pressures that hold more air. Also, a 300 bar DIN regulator will work on a 200 bar tank valve but a 200 bar regulator will not work on a 300 bar tank valve because it will not have enough threads to make a seal. With a Yoke fitting, the scuba regulator’s first stage has a brace that goes over the tank valve when in place. The regulator is then tightened to the O-ring on the tank valve with a large screw called the yoke screw on the opposite end of the regulator. 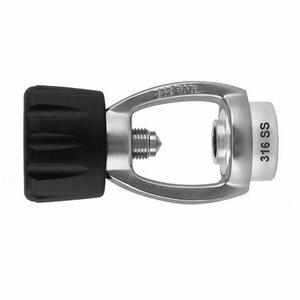 The Yoke fitting is the most popular fitting in North America and is widely used for recreational diving in warm waters. However, because the seal is made outside of the valve there is a higher chance that the O-ring can protrude or break. When it comes to which one is the best. DIN is hands down the superior of the two. 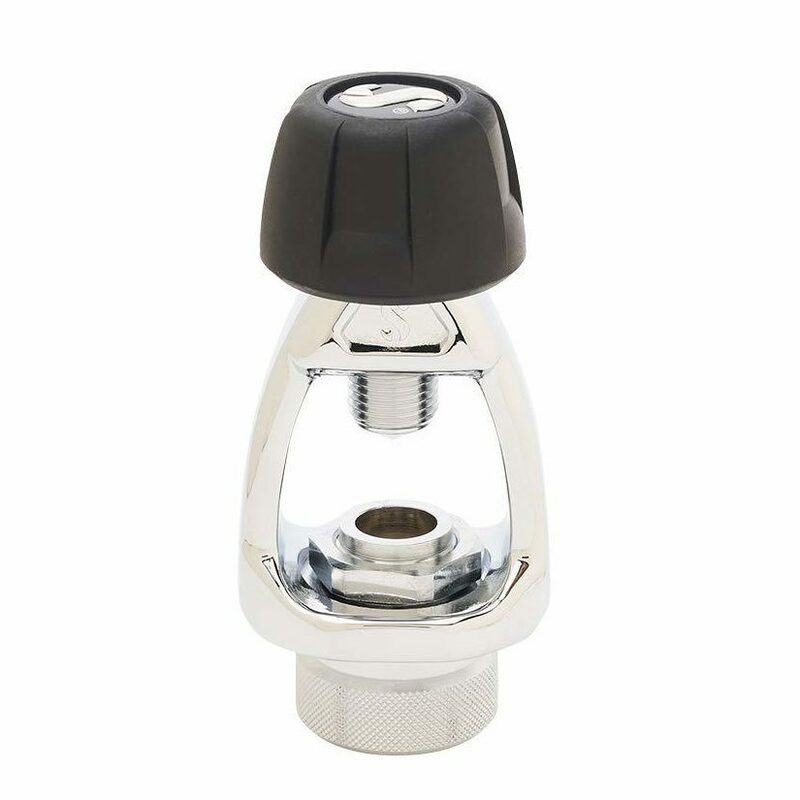 This is because the O-ring makes the seal inside the valve which eliminates the possibility of it extruding, allowing it to withstand higher tank pressure than Yoke. Also, because the O-ring is on the regulator, you provide the O-ring. This ensures you are not stuck with a worn-out O-ring often found on many rental yoke dive tanks. DIN regulators are also more streamlined and lighter than their Yoke counterpart. However, with all these advantages, DIN still might not be the best choice for you. When deciding what kind of regulator to choose there are a few things you must consider. Like, where you will be doing most of your diving, what dive tanks will be readily available and what type of diving you intend to do. For instance, if you’re only going to be doing recreational diving in North America, and the Caribbean, then a Yoke system would be your regulator of choice. But, if you are planning on doing technical diving using dive tanks with higher pressure, or will be doing most of your diving locally with your own dive tanks, then you should consider using DIN. You can still have the best of both worlds thou. If you buy a DIN regulator with a DIN to Yoke adapter, you would be able to dive with both fittings. However, the adopters take away all the advantages of diving with DIN and make the regulator bulkier, as well as moving it one inch closer to the back of your head. So, if you are primarily going to be diving with yoke tanks its best to stay with a yoke regulator.